Fly private to Gunnison for your next luxury getaway, and let our Colorado aviation company make it your best private flight yet. 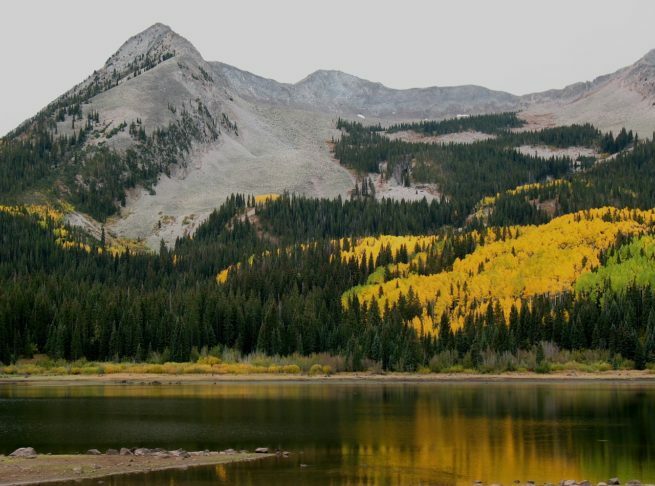 The region surrounding Gunnison and Crested Butte is known for its incredibly diverse and interesting landscape that promote outdoor activities of every kind, and with fishing, golfing, hiking, hunting and rock climbing right at its fingertips, it makes for an excellent destination. Our Wyvern certified brokers have experience assisting a variety of clientele, so you can look forward to an efficient and hassle-free booking process when booking with Private Jets Colorado. All of our representatives are available 24 hours a day and 7 days a week to ensure that your needs are met exactly when they need to be. Regardless of whether you’re a top-tier business executive or a first time flyer, our team will be with you every step of the way. 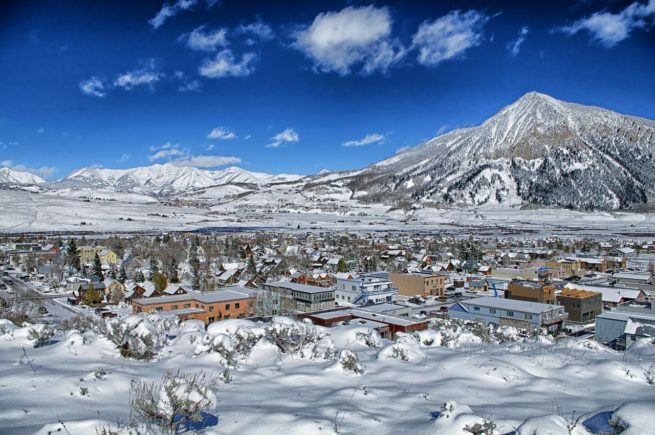 Request a quote now, or call us to book your private flight to Gunnison & Crested Butte, Colorado. The Gunnison hotel industry is still in its infancy, but its bed and breakfasts are second-to-none. Our representatives are available to assist with whatever aviation needs you may have, and that includes getting you to and from the airport- whether that be via helicopter lift or luxury ground transportation. The bed and breakfasts suited to private flyers are spread out throughout the area, and often cater to a specific type of clientele. If you’re hoping for the most relaxing option, sink your feet in the hot springs at the Waunita Hot Springs Ranch. Whether you’re renting a private flight to the area for a vacation, or you’re just passing through on business, there’s a lodging option for every occasion. Though, with so many options, choosing the best place to stay can prove to be a bit difficult. Our aviation company has compiled a list of the most luxurious lodging options in the area, perfect for luxury travelers. Based on client feedback, online reviews, amenities offered, and location, there’s sure to be something on the list that sparks your interests; keep reading to see the best places to stay. Our team can arrange your next private flight and place you in a city full of natural beauty, small town charm, and friendly people. Snow-capped mountains, dramatic bluffs, and imposing ravines are the norm for landscapes, and visitors will find that the local attractions take full advantage of these features. If you’re renting a jet for business, you already know that the city is full of rich investment opportunities. Having championed small business owners, it has turned itself into an idea-rich community full of opportunities to branch out. Whatever your investment interests are, our private charter brokers can arrange the perfect flight itinerary to suit your needs. If your private flight is for vacation, then you’ll want to check out Gunnison National Forest or the Cedar Point Nature Trail. The perfect spots for fishing, hiking, boating, and camping, these destinations are perfect for relaxing and having some fun after your flight. The city also has a relaxed downtown that is worth looking into. Whether you’re hiring a private aircraft for business or vacation, you’re sure to have a great time either way. However, figuring out what to put on your itinerary can be tough if you don’t know the area. Our team has come up with a list of the best attractions in the area to help make things a bit easier. Based on customer feedback, the list is sure to have something on it that’s perfect for you. Keep reading if you’d like to see our list of the best attractions for after your private flight to Gunnison, Colorado. Gunnison Jet Charter utilizes the following airports to fly clients privately to/from Gunnison, Colorado and neighboring areas. Request a Quote or give us a call at 1-888-987-5387 to speak with one of our Gunnison Private Jet Charter agents for your next luxury vacation, business trip, or special event.